Scotts grass seed, sold by the Scotts Miracle-Gro company, is a line of grass seed for home and professional use. The Scotts company focuses exclusively on turf, and as such is known as the lawn and grass seed expert. 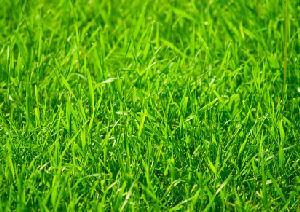 The company offers a wide variety of lawn seeds for different conditions. Scotts Miracle Grow is a publicly traded company on the New York State Exchange (NYSE: SMG). It's the world's largest producer of lawn seed and garden supplies. The company was founded in 1868 in Maysville, Ohio, and today employs over 8,000 people worldwide. Grass seeds for home and professional use make up a large portion of the company's business, but Miracle-Gro and related brands the company owns are household names and frequent sights on garden center shelves nationwide. Because Scotts sells so many types of grass seed, it may feel daunting to walk into the garden center and see the huge wall of familiar green bags of grass seed. The company makes it easy to choose the best seed for your location by handy charts and advice on the back of the bag. Climate: Grasses grow differently depending on the climate. Know your garden zone before examining bags of grass seed. Zone 8 and higher should select a warm season grass seed, while Zone 5 and lower need cool season grasses. Moisture: If you can't water your lawn frequently or you live in an area prone to droughts, select drought-tolerant grass seeds. Some grasses require more water than others. All need moisture to germinate. Use: If your lawn is primarily ornamental, use isn't a big concern. If you're planting a lawn in a high traffic area, such as a backyard where your children play or pets roam, you may want to invest in a tougher variety that Scotts has tested for durability. One of the most interesting aspects of Scotts grass seed is how extensively it's tested, and under different conditions. The company maintains testing facilities in North America, Holland, Italy, Spain and France. Team members grow different seed mixes in a variety conditions to assess how well each type will hold up in various climate. There are many other reasons to choose Scotts seed over competitors seeds. Because the company focuses almost exclusively on turf, Scotts is recognized for outstanding knowledge and experience and carries an extensive product line. With over 100 years of studying grass seed, Scotts is indeed the king in the lawn industry. In addition to the many types of grass seeds sold under the Scotts brand, the company makes equipment for proper [Lawn_Care|lawn care]]. Spreaders and other turf products make spreading their seed easy. The company also makes many soil conditioners for lawn areas, including fertilizers for various needs and amendments. Scotts products are sold worldwide. In the United States, most major home, garden and big home centers carry the brand. Smaller garden centers frequently carry it too. To find a store near you, the company provides a short inquiry form on the Scotts website. After completing the form, they will guide you to a distributor near you that carries either professional or commercial products or products intended for home use. With over a century of professional turf experience, Scotts seeds stand above many other brands. If you covet a lush green lawn this year, start with the highest quality seed you can afford. Plant according to directions, feed, water and mow it properly, and enjoy your emerald paradise.